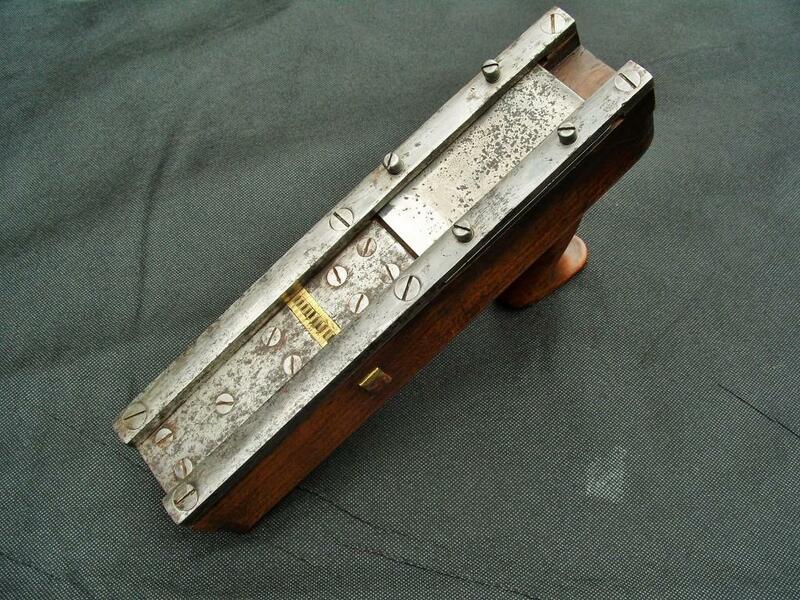 A very rare matchstick plane by John Moseley of London. This beechwood example has a recessed steel sole with an integral adjustable blade at the rear. 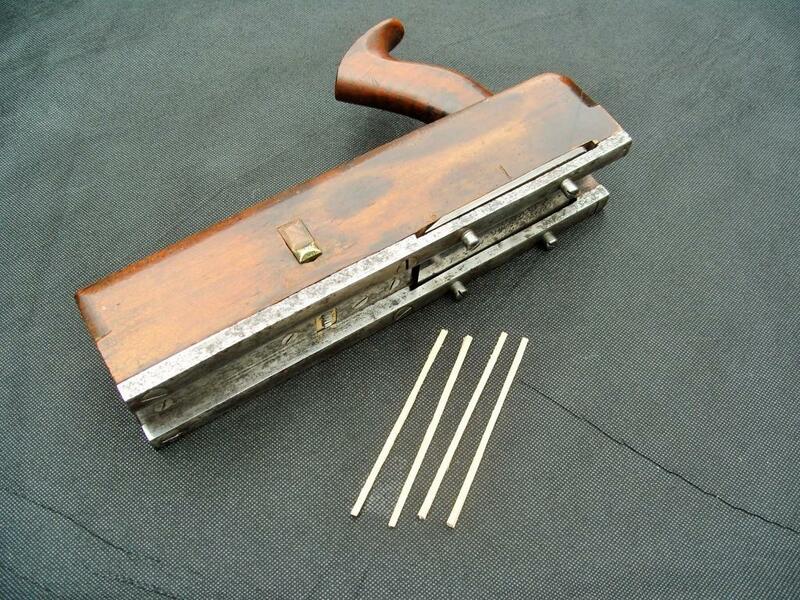 The matchstick cutters are housed in a brass block which, in turn, is held captive in the plane stock by a wooden wedge. 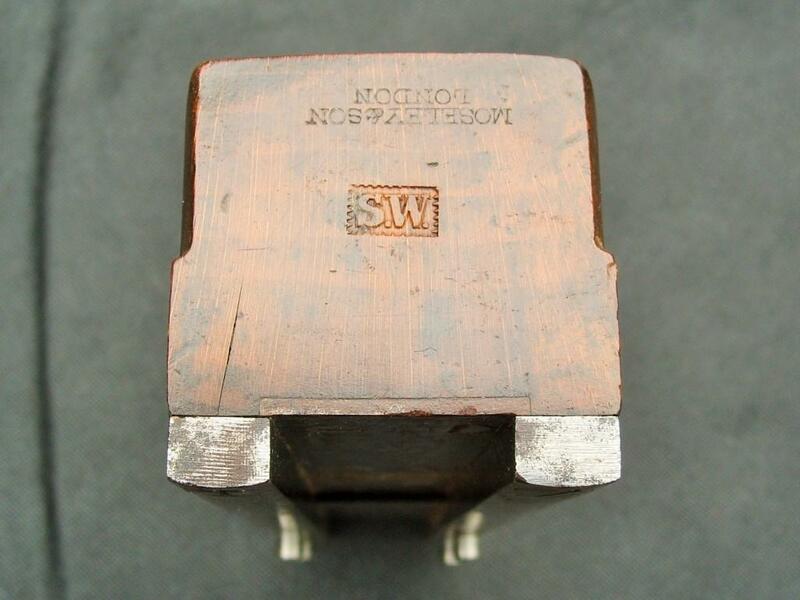 Unlike other matchstick planes which have tubular cuters, these cutters slice the softwood workpiece into 10 sections which are then sliced free by the integral blade to produce the matchstick lengths. 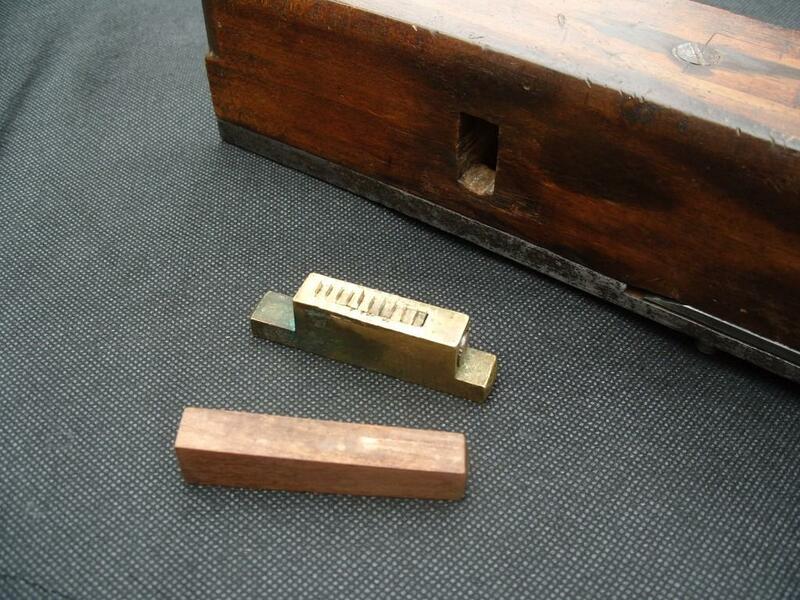 Judging by the maker’s name stamp on the toe, this plane is circa 1819 – 1830. A fantastic plane from a private collection.